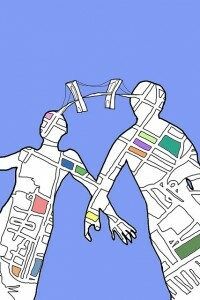 Last last night I worked myself into a frenzy about today’s blog post. Since I organized my blog into categories a few weeks ago—Mental Health Mondays, Writing on Wednesdays, Faith or Family on Fridays—I thought it would be easier to come up with something worth reflecting on three days a week. And yes, the categories do serve as writing prompts. But they can also hold my feet to the fire, if I let them. It’s my blog, right? I can do whatever I want to, right? And yet at midnight last night I set aside my notes for today’s post, dissatisfied with the topic and the prose. I poured a(nother) glass of wine and cruised the TV for something to watch. 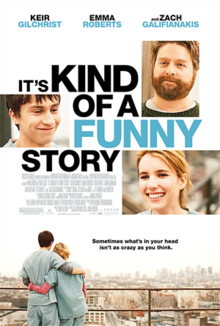 I landed on the 2010 movie, “It’s Kind of a Funny Story,” based on the 2006 novel by American author Ned Vizzini. The story is about a teenage boy, Craig, who cracks under academic and social pressure, considers jumping off the Brooklyn Bridge, but checks himself into a psychiatric hospital for a week instead. 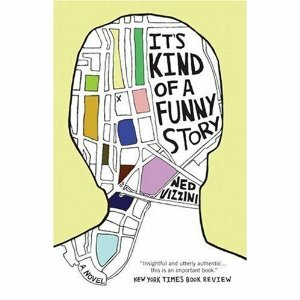 The book, which was inspired by Vizzini’s own brief hospitalization for depression in November 2004, received recognition as a 2007 Best Book for Young Adults from the American Library Association. Eventually Craig discovers his artistic talent. When he leaves the hospital, he tells his dad that he wants to be an artist and not pursue his dad’s goals for his life. I’m not trying to make more of this than the writers intended, but I do think it’s interesting that there was an artist at the core of this young man trying to fit into a prescribed role. And then I opened the newspaper this morning to learn that September 10 is World Suicide Prevention Day. I had no idea that suicide was the leading cause of death in the world, with current numbers at one every forty seconds—more than the number of deaths due to homicide and war combined. 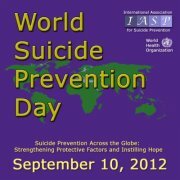 And in the United States, one person commits suicide every 14 minutes. Experts believe that most suicidal individuals do not want to die. They just want to end the pain they are experiencing. Even in my darkest nights of the soul, I’ve never seriously contemplated suicide. But I know several people who have. And I’ve met mothers who have lost children to suicide—the worst kind of pain I can imagine. These men, Zachary Chipps, left, and Thomas Brown, both of Scottsdale, Ariz., are bicycling across the country to raise awareness about suicide prevention. They both lost an older brother to suicide. Their journey began March 1, 2012, at the San Francisco Golden Gate Bridge and will end Sept. 30, 2012, in Wappengers Falls, N.Y. They are pictured during a stop in Colorado. The International Association of Suicide Prevention is asking everyone to light a candle and place it in your front window at 8 p.m. tonight, to show support for those struggling with suicidal tendencies, and to honor those who lost their lives to suicide. 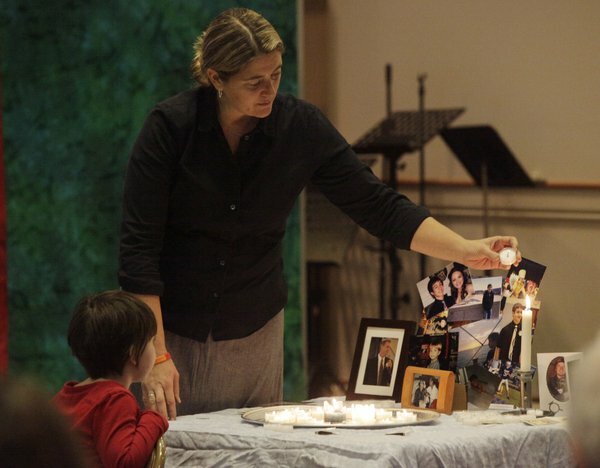 Like this woman, who lights a candle to remember her son, who died by suicide. Her daughter also lights a candle to remember her older brother. 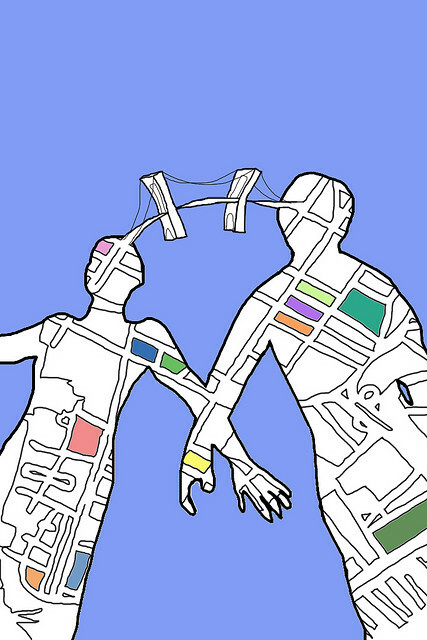 But I think the best thing we can do is reach out to each other. And not just family members and close friends, although that’s a good place to start. Often the people in the most pain are those just on the edge of society. The middle-aged man who is out of work. The elderly woman who lives alone. The homeless person holding the sign at the intersection. The teenager who doesn’t “fit in.” Or maybe just the person who is trying to free her inner artist.